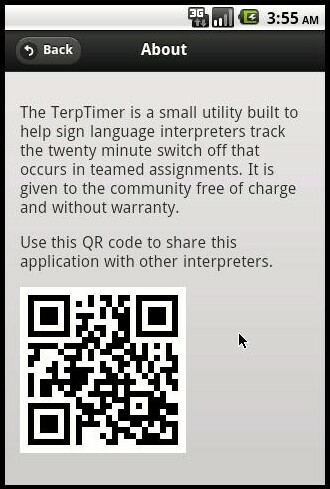 Main Screen for Terp Tools. 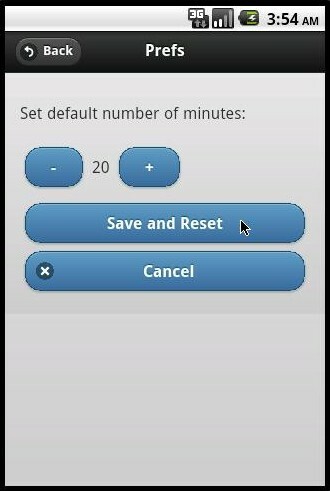 I’ve decided to break out functionality between the Timer and Logger. New tools will be added under this main screen. Perhaps we’ll brand this as TerpTools. This has been a very fun project so far, using jQuery Mobile and many of the newer APIs included around the HTML5 spec: SQLlite, geo-location, and session storage to name a few. At present the most useful, is offline access. That is, even if you don’t have internet connectivity at the moment, this application will still work. It merely requires an initial sync with the browser memory, and it will continue to function (record data). Though real value may be seen by doing something with your data. That is the next step in this project. Stay tuned for more details. Posted in Technology and TerpTools on November 9, 2010 by Richard. 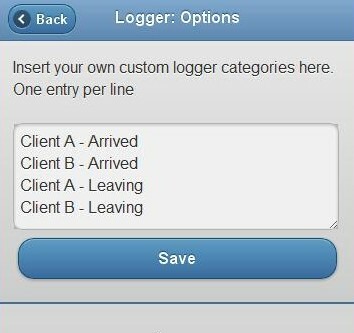 The TerpTimer Logger area now shows the last 10 entries logged for the workday. 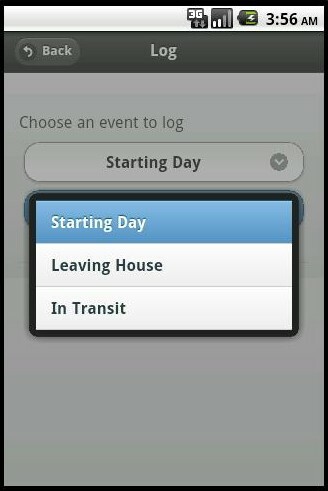 It includes a time stamp, GPS coordinate, and activity. Activities are still up for debate at the moment. At current they include two main categories Transit and Job Site and sub categories Arrived, In transit, and Departing Future development may lead to custom activities that an interpreter or agency could preset. The idea is to use this data for a number of things. Once the data is exported and GPS coordinates mapped, a freelance interpreter could reconstruct the workday for easier billing and schedule tracking. Agencies might find use for this data in the arrogate and resource deployment. Future development will include an export feature to one’s desktop. Other thoughts include showing the last three to five locations pinned to a map on the handheld. Posted in Technology and TerpTools and tagged Enterprise, Technology and TerpTools on November 7, 2010 by Richard. I’m adding default categories that I would actually use in weekly jobs. Borrowing from Joel’s eat your own dog food line of thought, these would be some I would track. What would you track? What would help you in billing. 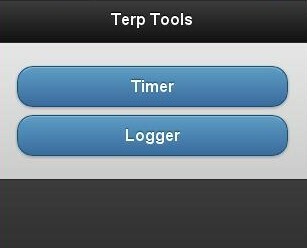 Graphic showing new options for the logger option in terp timer. Posted in Technology and TerpTools on November 6, 2010 by Richard. As you may see below, I’ve attempted to add these features. 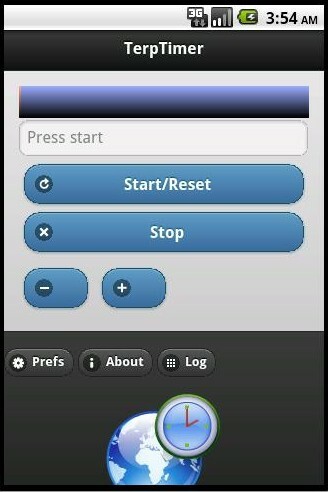 The following are screen shots taken from the Android emulator. Because this is designed using HTML5 standards (jQueryMobile and SQLite), this application should work across any modern mobile or desktop browser. At this stage, the code is still in development but I hope to have a wider release soon. But the for the time being, I’d still like feed back from other interpreters. Posted in Technology and TerpTools and tagged Android, HTML5, Interpreter, jQuery, SQLite, Technology and TerpTools on November 4, 2010 by Richard.